Are You Going To Be A Post-Valentine’s Day Statistic? 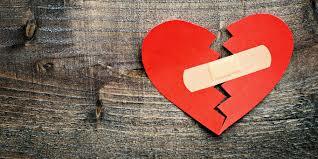 Research has shown that many break-ups, relationships and marriages, happen just after Valentine’s Day. In fact, lawyers have said they have had their phone ring on February 15th with people inquiring about divorce, more than on any other day of the year. Often times these break ups are a reaction to frustration due to expectations not being met, over time. Until finally the expectant party gets fed up and calls it quits. This can tend to happen after one might have given it a chance to see what happens on Valentine’s Day. And if, once again, the other partner does not measure up to one’s expectation, that’s the breaking point. How can you avoid this or other ‘reactive break ups’? Re-examine your relationship from a place of commitment. If you are truly committed to having your relationship work, although simply committing doesn’t guarantee it will work, you have a much higher chance of it working when you stay true to your commitment. Ask yourself, “What expectations have I had of my partner (and/or myself, or/or of the relationship) that have not been met? Make a list of these expectations and be truthful – let it all out. Next, ask yourself, “can I accept the way my partner is?” Really look to see if you are willing to live with, with full acceptance, of the way your partner is, without expecting them to change, in order for you to be happy or in order for the relationship to work. Finally, make an authentic choice. If you are not willing to accept the way your partner is now, without expecting them to change in the future, be honest with yourself and with them and say so. But remember, that is your choice that you are making based on what you are willing or not willing to accept. As opposed to, “I’m not willing to accept this because you won’t change.” You will never have personal power when the other person is to blame for your choice. If you are willing to accept your partner as they are, with no expectation for them to one day change, then make that choice. And then, it’s time to do the work to learn to truly be with one another, as you are. It is only then that you can potentially grow and learn, together. I wish you clarity and confidence. And, if you feel stuck, or you know someone who might be stuck, please respond and request a complementary Strategy Session with me.